Andalucia in the south of Spain is a great destination for walkers and hikers, having numerous mountain ranges providing no end of great walking country. 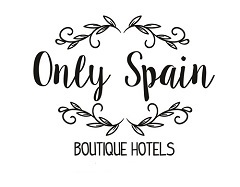 We’ve paired up superb scenery with five of our gorgeous boutique hotels for some of the best destinations in Andalucia for walking holidays. Whether you prefer a serious hike or gentle stroll the mountains and olive groves offer plenty of scope. In the north of Malaga province, just 35 minutes from Malaga city and near the stunning El Torcal National Park Cortijo Sabila makes a great base. Surrounded by olive groves with mountainous backdrops the views are lovely. With only eight bedrooms and being an adult-only hotel, providing home-cooked dinners every evening (on request), it’s an excellent choice. North of Granada city the beautifully restored country estate Cortijo del Marques is a great base for visiting the city of Granada and Granada province or just basing yourself in this country house hotel and walking from the doorstep. This 500 year-old cortijo with its own chapel is surrounded by fields growing sunflowers and wheat, olive groves and is located between the Pozuelo and Arana mountain ranges. Each room is unique, keeping the history of this charming manor house alive, with many original features retained and the resident owners are delighted to share its tales. Cortijo del Marques is closed from the beginning of November until mid March. In the depths of the enormous Sierra de Aracena y Picos de Aroche Natural Park in the west of Andalucia Finca la Fronda is an oasis of calm. Surrounded by indigenous trees such as sweet chestnuts and cork oak trees it really is idyllic for the walker. There are many marked routes around the National Park and plenty of information in the hotel itself. Or just take yourself off and enjoy the peace, quiet and pure mountain air of these Sierras. If you fancy you can pop over the border into Portugal while here it is so close. Or stay near the hotel taking walks from 1 hour to 8 hours in length and easy to medium grades. The tiny hamlet of Cartajima is to the west of Malaga in the Valle del Genal part of the Serrania de Ronda mountain range. With an altitude over 800m it is higher than most of the surrounding mountains providing some stunning and far-reaching views. On Wikiloc there are many walking routes of varying lengths and difficulties around this area. It’s not far from Ronda for day trips and the next village, a good walk, it the ‘blue’ Smurf village of Juzcar. Molino la Nava is an ancient olive oil mill from the XVIII century in Cordoba province, so obviously it is surrounded by olive groves which are great for walking. It is now a lovely hotel, complete with machinery from its olive mill days in the rustic restaurant. With just eight rooms and in the middle of nowhere it conjures visions of peace. It’s also in the starlight reserve of the Sierra Morena so the night sky comes alive without the need of a telescope. If you don’t fancy roaming the olive groves the GR48 runs right alongside the hotel. For a bit of city life Cordoba is only 30 minutes drive away. Want to read more about each of our ‘Fabulous Five’ hotels? Each link will take you to the appropriate hotel’s page. See my post over on my Andalucia Explorer blog you fancy reading my Walking the Mountains of Ronda and Grazalema book review by Guy Hunter-Watts. He’s the local expert and has written many walking guides for Cicerone publishers covering Andalucia.